A customer inspects Joe Nati’s roses at the Sydney Flower Market at Flemington. Photography by Jonathan Cami. IN the 1940s, when Joe Nati’s family began flower farming in the lush market garden hinterland of north-west Sydney, business was much simpler. All the flowers were grown locally – merely a few suburbs away from market or at most an hour or two away on the city outskirts. But today many of the flowers we buy for personal milestones, Mother’s Days and Valentine’s Days, are multinational jetsetters, crisscrossing the globe from faraway places such as Kenya, Malaysia and Colombia. As glamorous as that sounds, this bounty of beauty could be a threat to our own industry, with imported cut flowers posing a biosecurity risk, not only to Australian flower growers, but to other horticulture industries, too. Joe Nati at Nati Roses farm in Middle Dural. Flower growers in NSW are concerned by the pest and disease threat from cheap imports, with a high level of infested product making it to our borders – and beyond. The Department of Agriculture and Water Resources (DAWR) reports that in the three months to May 2017, there were 2,100 consignments of fresh-cut flowers and foliage imported into Australia. About 50% of these were fumigated at the border due to the presence of actionable pests, and included several detections of leaf-miner, a national-priority pest. - What’s bugging our biosecurity experts? With imports of cut flowers and foliage to Australia more than tripling from 2,271 in 2007 to 7,627 in 2017, the DAWR says interceptions of pests have increased accordingly. These worrying statistics, coupled with the long-held concerns of local farmers, prompted tighter import regulations last year. But flower grower and NSW Farmers’ board member Salvatore ‘Sal’ Russo, who with the NSW Flower Growers Group has spent much of the past decade campaigning federal governments for a stronger biosecurity model, says more needs to be done. Sal Russo at the Sydney Flower Market. He has seen a major expansion of imported cut flowers in the past two decades. His family has been growing flowers since the early 1960s, with the business now based at Arcadia in Greater Sydney and Spring Hill in the Central Tablelands. Sal sells all his blooms through the Sydney Flower Market at Flemington. Up to the late 1980s, cut flowers were almost exclusively produced in Australia. “Then supermarkets started selling flowers, and the supplier was buying local product and supplementing it with imported product,” says Sal. “In the mid-1990s, they shifted from imported product being a supplement to being a primary source. Sal Russo delivers his hydrangeas to customer. According to Sal, biosecurity controls have been under pressure ever since, with the introduction of western flower thrips and other pests into Australia, costing the industry an estimated $170 million in additional management and pesticide use. The DAWR estimates that 10% of cut flowers and foliage sold in Australia are imported. Those in the industry, says Sal, believe that figure is closer to 30%. The flowers are imported from countries such as Kenya, Colombia, Ecuador, and Vietnam. A Sydney florist carries flowers to her van at the Sydney Flower Market. “The problem is the importers are obsessed with the profitability, and for them to be ecologically responsible would mean the cost of imported flowers would go up 30%,” he says. “We are not dealing with the source, we are dealing with the result – we are at the wrong end of the stick. In 2017, the DAWR reviewed the import history of fresh-cut flowers and foliage and identified a high number of pest infestations. It also undertook a pest risk analysis of thrips and orthotospoviruses on fresh fruit, vegetable, cut-flower and foliage imports. The DAWR found 241 species of pests from three groups – mites, aphids and thrips – were present in imported flower shipments, and 23% of imported cut flowers and foliage were intercepted with pests at the border. Roses growing at Nati Roses farm in Middle Dural. New regulations, introduced in March 2018, require the exporting country’s National Plant Protection Organisation to certify the flowers are pest-free and to fumigate them before they are shipped to Australia. A draft consultation report of the new regulations says, “The enhanced import conditions for fresh-cut flowers and foliage effectively manage the associated biosecurity risks”. However, speaking at the end of 2018, a DAWR spokesperson said, “Overall, there has only been a small improvement in non-compliance since implementation of the new measures. We are aiming to reduce the overall non-compliance due to the presence of live quarantine pests for cut-flower and foliage pathways to a maximum of 10%. Harvesting blooms at Nati Roses. Sal Russo says allowing flowers entering Australia to have a 10% infestation rate is “bizarre”, and importers should be licensed and insured. “The nursery industry, when it imports plants into Australia, has a zero-tolerance policy. If there are any pests on any stock, it is destroyed – so why the difference between flowers and plants?” he says. - Kangaroos: Pest or marketing opportunity? “We need to look at a comprehensive biosecurity policy, which involves the licensing and mandatory insuring of importers of flowers, foliage, seeds, animals and food product. The most important conduit for pests and diseases has no responsibility in the biosecurity armoury that we are trying to put together. A customer at Joe Nati’s stall chooses Double Delights. Rose grower Joe Nati, whose family operation is based in Middle Dural about 18km from its origins in 1944 in West Ryde in Sydney (a suburb that has long since fallen victim to urban drift) also doesn’t have a problem with the importation of flowers and imports product himself to supplement supply. 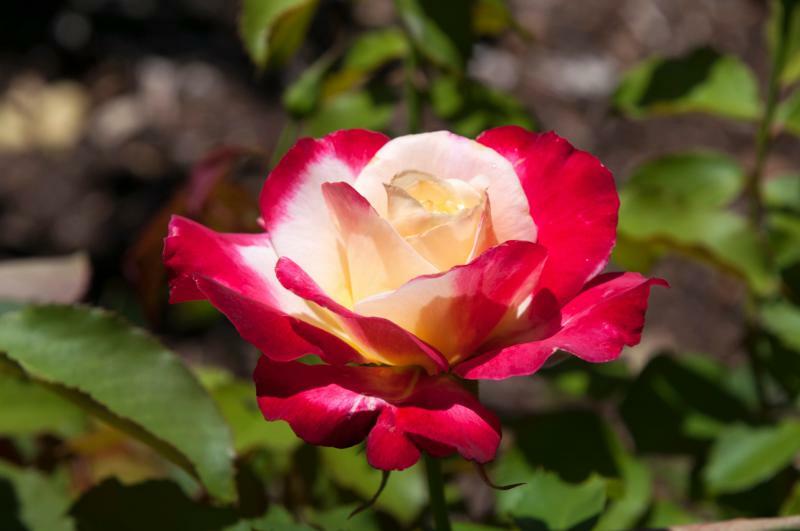 In the 1980s, the family began importing product when local roses were out of season. “In those days, there were no growers in Kenya, China or India, so flowers that came over weren’t cheap, but they were a means to an end,” Joe says. “The market was getting more savvy, so we needed roses 12 months of the year. Florist Julie Purvis prepares flowers for sale in the Nati Roses farm shop. “Once other countries came into production, we started to see proliferation of cheap imports, and the price go from 70c a stem to 30c a stem. “It went from growers and wholesalers importing flowers to supplement customers, and it became a free- for-all. Roses went from being an exclusive product to something considered a normal item in the market. Flower picker Tina Jirong at the Nati Roses farm in Middle Dural. Joe says zero tolerance of pests and disease would be a better target, and a crackdown is needed for exporters and importers not doing the right thing. $275.6 million - Value of Australia’s total fresh-cut flower production. $9.7 million - Value of Australian exports. $370.9 million - Wholesale value of the fresh supply of cut flowers in Australia. $66.8 million - Value of fresh-cut flower imports. that have been imported (DAWR estimate). our biggest overseas supplier of cut flowers. 25% of Australia’s cut flowers are produced by NSW. $25.4 million - Value of cut flowers imported by NSW, the highest of any state. $1 million - Value of cut flowers exported by NSW. Sources: DAWR, ABS, Global Trade Atlas, Horticulture Innovation Australia. Nostalgia brings many a customer to Nati Roses, one of the last major garden rose growers in the country. Co-principal Joe Nati says fragrant roses that customers remember from their grandparents’ gardens are always in demand at his on-farm florist, especially long-time favourite Mr Lincoln. While Joe says hydrangeas and lilies offer huge potential for growers in Australia in the future, as they cannot be imported, the industry shouldn’t lose its local roses, either. “There are always feel-good stories in this industry, because you’re working with something of beauty and emotion and passion. When people walk into the shop, there is an emotional reason for them to buy it – a birth, a birthday, an anniversary, a death,” he says. A stunning Double Delight rose. Source: Getty Images.